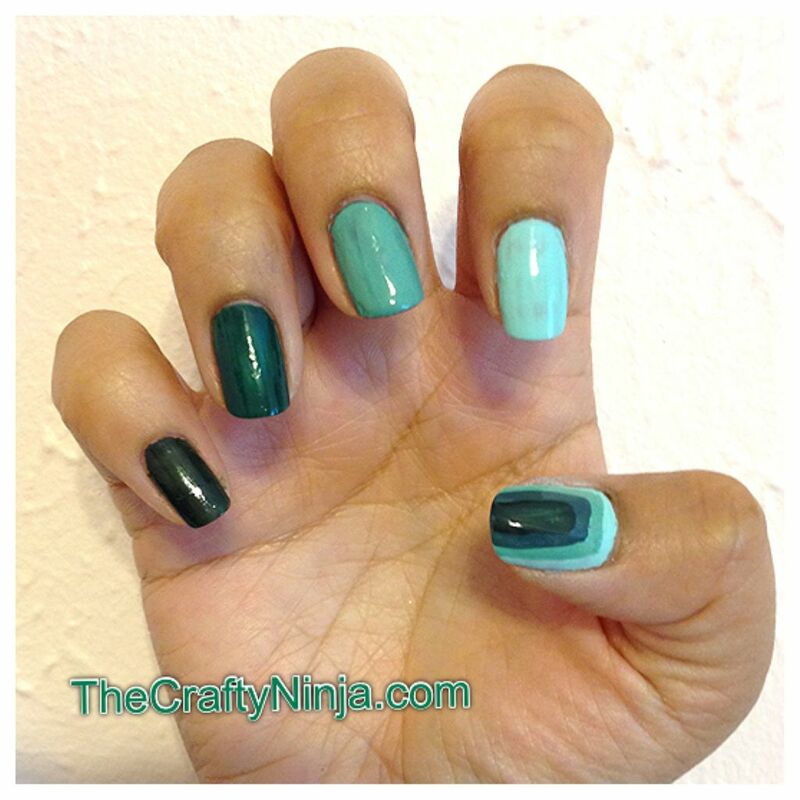 I had several shades of green nail polish and I wanted to try out a monochromatic color scheme. In my head I kept thinking 50 shades of Green. 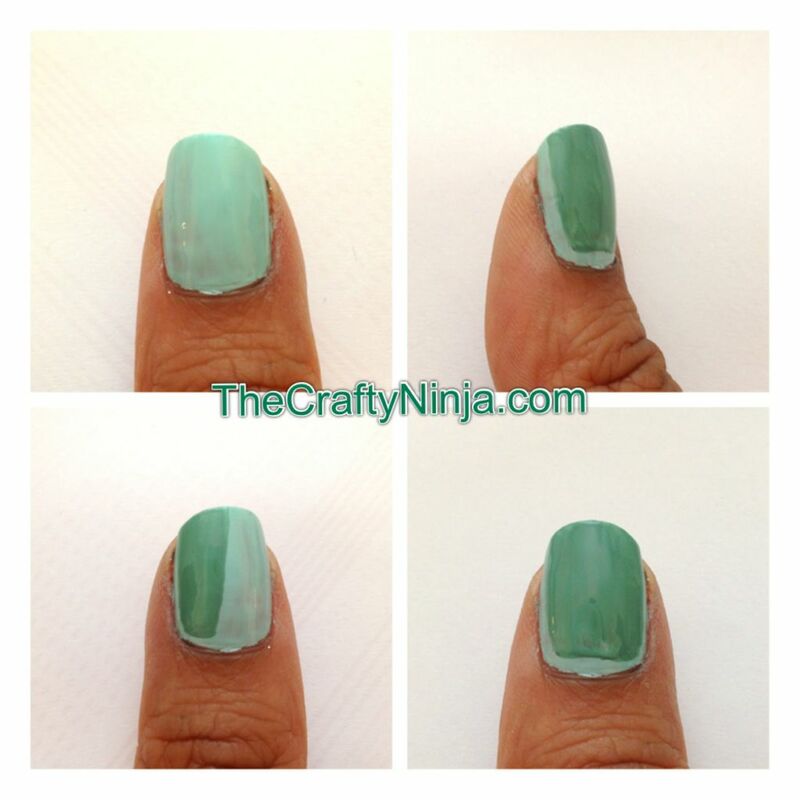 On my thumbs I created an outline or border nail look. Very subtle and simple. The nail polish colors I used starting from my pinky: Essie Going Incognito, Essie School of Hard Rocks, Sinful Colors Open Seas, Essie Mint Candy Apple. 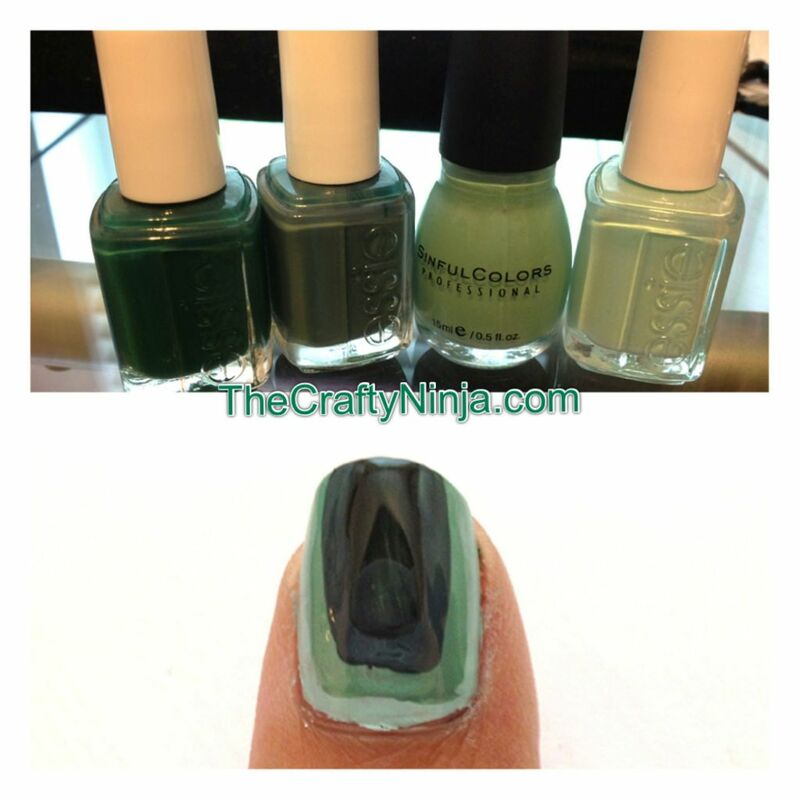 To create this Outline or Border nail look I first painted the base color. Then with the shade a little bit darker I carefully create a slight border in strokes. Repeat with the other shades of green.